Well it’s been a while I know…..
Hope if you all have a kitchenaid make good use of it. …I will ! 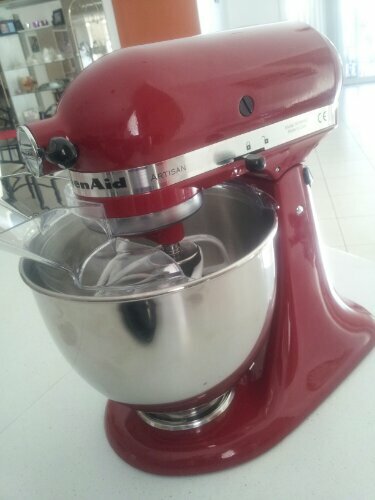 This entry was posted in what I love and tagged biscuits, kitchenaid, red. Bookmark the permalink. So shiny. So red. Love it. Oh wow got christened with peanut butter cookies. Looking forward to seeing all your ka creations. Best wishes, Carina. I have waited so long for one and the Colours you can choose from …… wow!